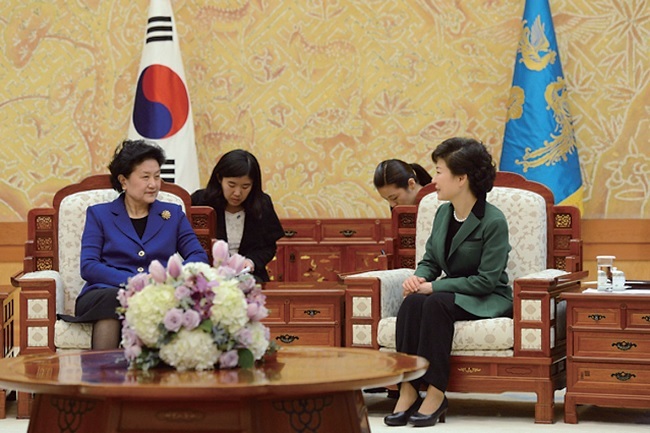 President Park also met Liu Yandong, China’s highest-ranking female official, who came as a special envoy on 25 February. Liu is a member of the Chinese Communist Party’s 25-member Politburo and is a state councilor for education, culture, and science affairs. Liu delivered personally handwritten letters from China’s President Hu Jintao and General Secretary Xi Jinping of the Central Committee of the Communist Party of China.